I think the most beautiful tablescapes are those inspired by nature. Mother Nature never gets her color palette wrong so keeping it close to a natural color palette is always your best bet. Summer tablescapes should be fresh and I believe fresh flowers are a must. Don’t be hesitant to pick them right out of your yard, being summertime there are bound to be beautiful ones in bloom. Pick a handful and arrange them in a bunch and when you are satisfied just hold the stem tight and cut. Then you simply fill a vase or even a teapot as shown below and set them in to let their beauty pop. 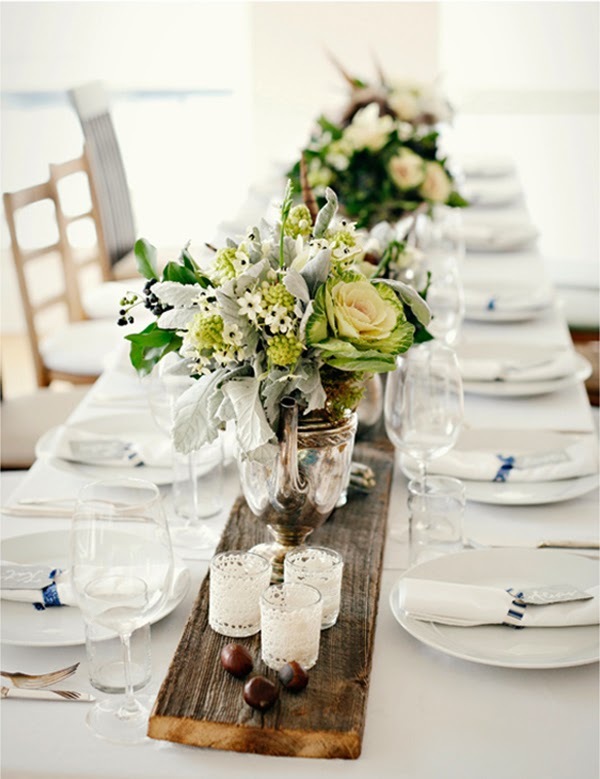 Be creative by using unexpected materials in your tablescape like the rustic wood board to add a little texture. Keep your summer tablescape full of life by using potted plants. Potted herbs are a great choice because they also add a little aroma and can compliment the summer menu. If you’re using just green potted plants without flowers then pop some color with your dishware and table accessories. You really can’t go wrong by designing an organic feel to any summer tablescape and it is so easy. Using colored vases with green leafy clippings can be the perfect touch. 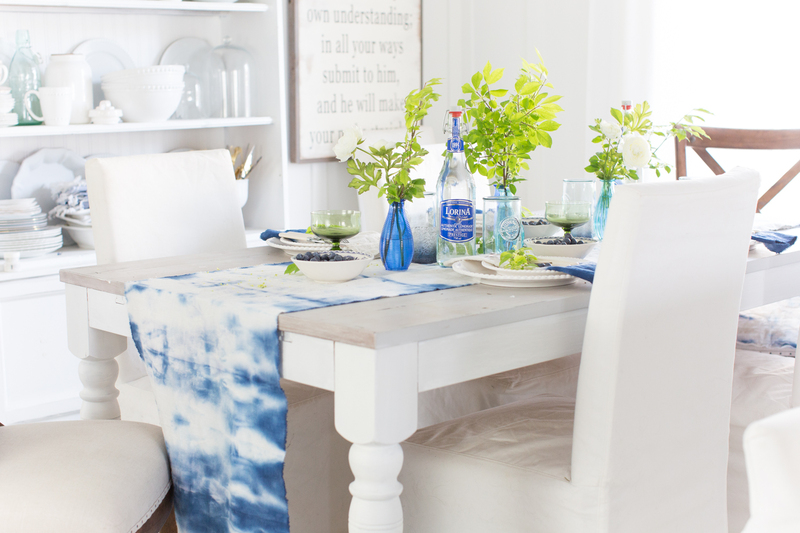 Living on the coast I love to create summer tablescapes using elements I would find on the beach. All you need to do is bring the outside inside for your perfect summertime dining. Casual dining allows us to color outside the lines a bit by using tableware that typically isn’t used to set a table, but adds an element of creativity. Summers should be spent entertaining with family and friends, creating great memories together. I hope these tips find their way to your summertime celebrations and by all means share some of your summer tablescape ideas with us by leaving a comment.